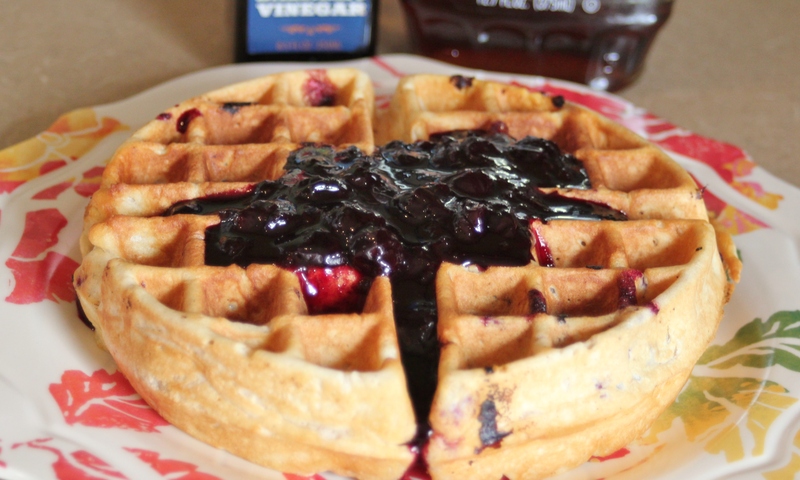 Belgian Waffles with Balsamic Blueberry Velvet Syrup – recipes from the birdcage. Blueberry, meet Blueberry Balsamic Vinegar. Yup. Blueberry Balsamic Vinegar for breakfast. Okay, well maybe not FOR breakfast, but certainly IN it. As we edge closer and closer to spring, I’ve noticed a distinct change in my food cravings. I’ve finally kicked my butternut squash craving, kicked my Brussels Sprout yearnings to the yard. Now, I want berries. I was asparagus and peas. I want tastes of Spring! 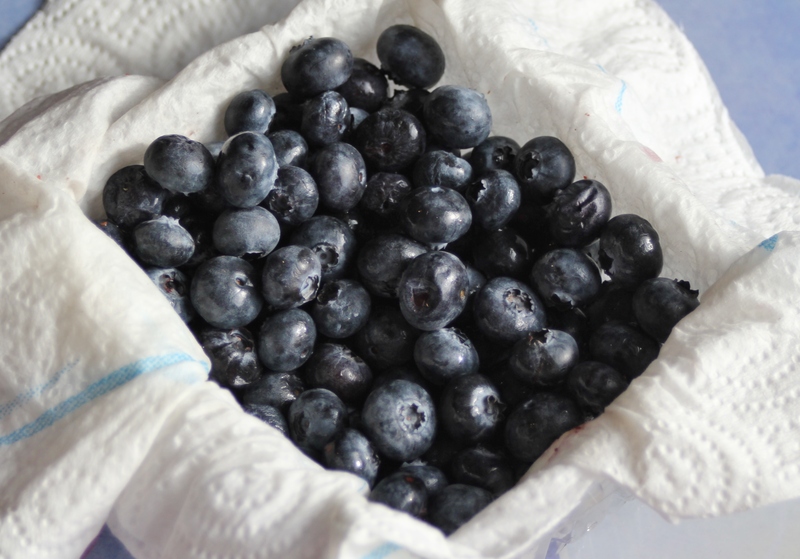 So, naturally, whilst strolling the Dallas Farmer’s Market this past Friday I snapped up a huge pint of plump, juicy blueberries for about $2. What a steal! It’s now Sunday morning and around my house, this usually means a big breakfast. Pancakes, eggs, bacon…stuff like that. I’d saved my basket of berries specifically for Sunday morning, because I knew just what I wanted. 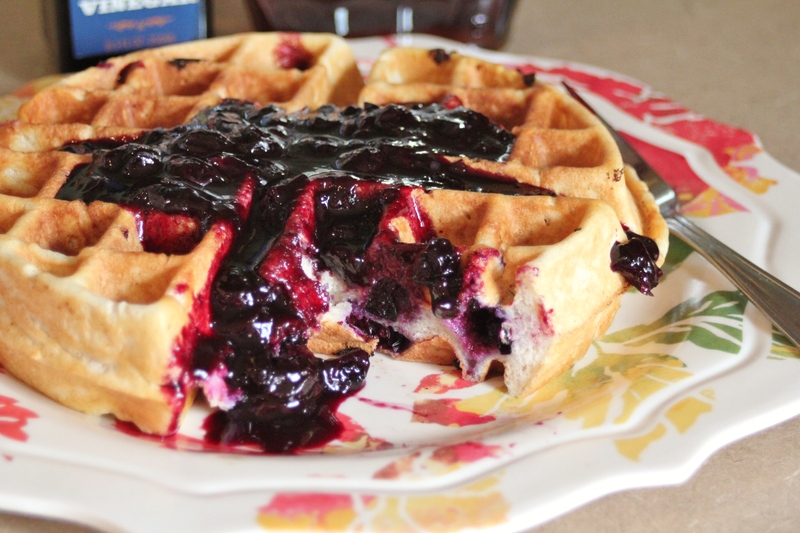 Blueberry waffles! 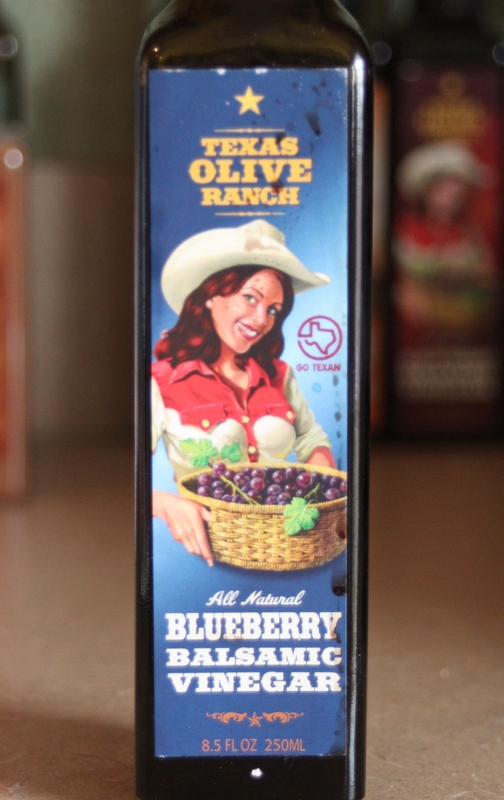 And because I’m always looking for ways to take my go-to dishes over the top, I whipped up a batch of blueberry syrup and amped it up with a healthy dose of Blueberry Balsamic Vinegar from Texas Olive Ranch. 1. Preheat your waffle iron. 2. In a medium bowl, stir together the flour, sugar, baking powder, salt, cinnamon, and nutmeg. 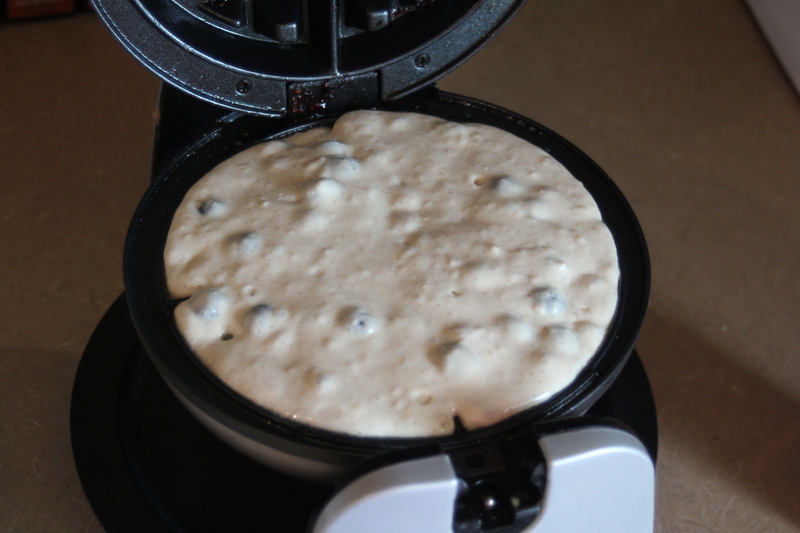 Gently stir in blueberries to coat in the flour. 3. In a separate bowl, whisk together the milk, melted butter, vanilla, and egg yolks. 4. Gently stir wet ingredients into dry ingredients until just combined. 5. Beat egg whites until stiff, then gently fold them into combined waffle batter. 6. Generously spray the waffle iron with cooking spray and fill and cook your waffles per iron directions. This makes about 2 cups of syrup and will keep about one week in the fridge. 1. Combine all ingredients in small sauce pot and bring to a gentle boil. 2. 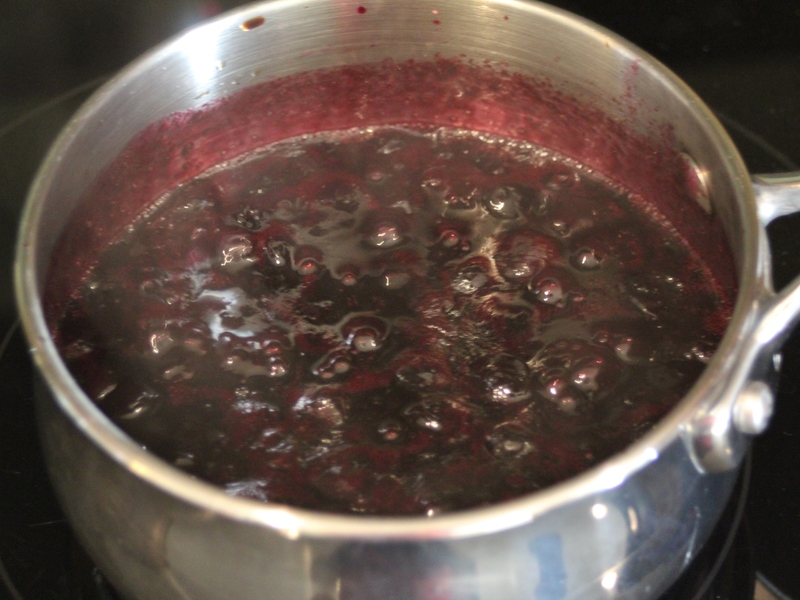 Simmer approximately 15 minutes, until most berries have burst and released their juicy goodness. 3. Spoon over waffles, pancakes, cake, or even ice cream and enjoy!